More delays by inclement weather across the country. As snow hits the state of Kentucky, the Louisville versus Kentucky rivalry meet has been delayed by three hours, with swimming now set to begin at 4PM Eastern Time. 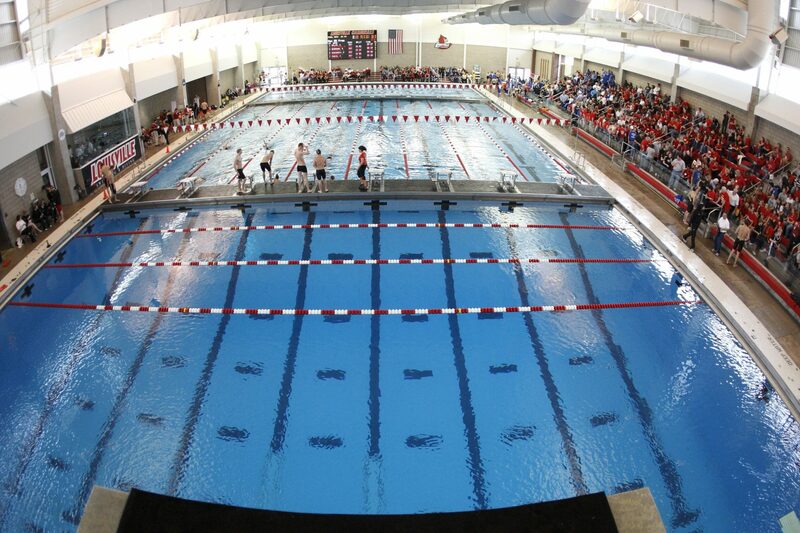 The Senior Day ceremony, honoring the Cardinals’ seniors, has been moved to 3:45 PM, and diving will begin at 2:45. Both teams enter this rivalry meet hot, with a 3-1 mark this season across all sports in favor of the Wildcats this season. In true rivalry-meet tradition, this meet is often closer than it maybe should be on paper. That includes last year, where the Louisville men won by just 4 points on the road in Lexington. This year, back in Louisville, the Cardinals are again big favorites, but there’s a lot of good races to be seen. That includes on the women’s side a potential butterfly battle between UK junior Christina Bechtel and U of L junior Tanja Kylliainen: two of the country’s best in the 200 yard version of that race. As part of the delay, admission will be free, the first 150 fans will get free t-shirts, and there will be free pizza for students at the Ralph Wright Natatorium. Live results for the meet are available here.